Cuba became an independent republic in 1902 and a British legation was established in Havana in that year. The status of the Post was raised to an embassy in 1950. The Cuban revolution in 1959 caused the office and residence fixed term leases to be replaced in 1962 with rights of use for indefinite periods, and the leases were again changed in 1977 to annually renewable two-year terms. 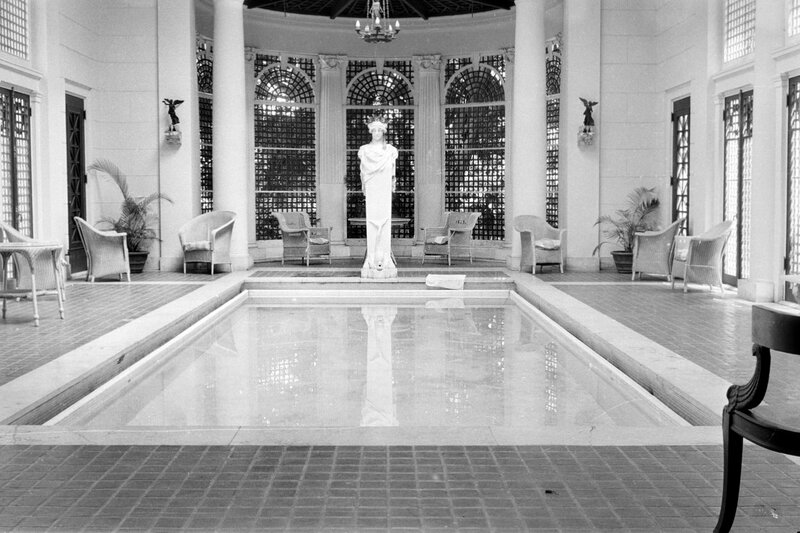 From at least 1957, the residence has been at 352 Calle Paseo, at the corner with Calle 15, in Vedado. It is an impressive and pleasant three-storey detached house, built in about 1912 with good reception rooms, high decorative ceilings and a sweeping marble staircase, but its maintenance has for long been problematic. In 1949, several dispersed offices were brought together on the top floors of the Bolivar (formerly Galban Lobo) Building at 101-03 Calle Capdevila, a then-new ten-storey residential block, well located overlooking the harbour. The embassy eventually had storage on the 7th floor, offices on the 8th and 9th, and a security officer’s flat on the 10th. Both the block and the district deteriorated quickly, so that by the early 1980s the health and safety conditions, and above all the fire escape arrangements, were so unsatisfactory that the embassy had to evacuate the building in 1993 and move into temporary offices in 708 Calle 34, Miramar. The Cubans offered promising alternative premises for lease in two two-storey villas on one 0.27 hectare site at 702-704 Calle 34, Miramar.The Cubans paid for the work necessary to bring the villas into reasonable condition and the FCO for their conversion to embassy use. The work was completed in 1995. Chancery and commercial section occupy the larger, older and better-looking villa; consular and management sections the other. 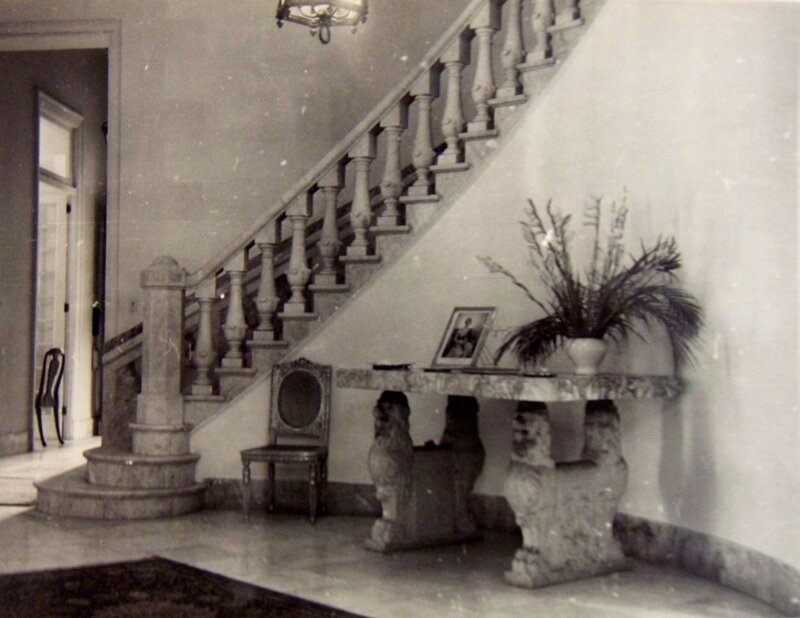 Residence hall and stair, 1958. 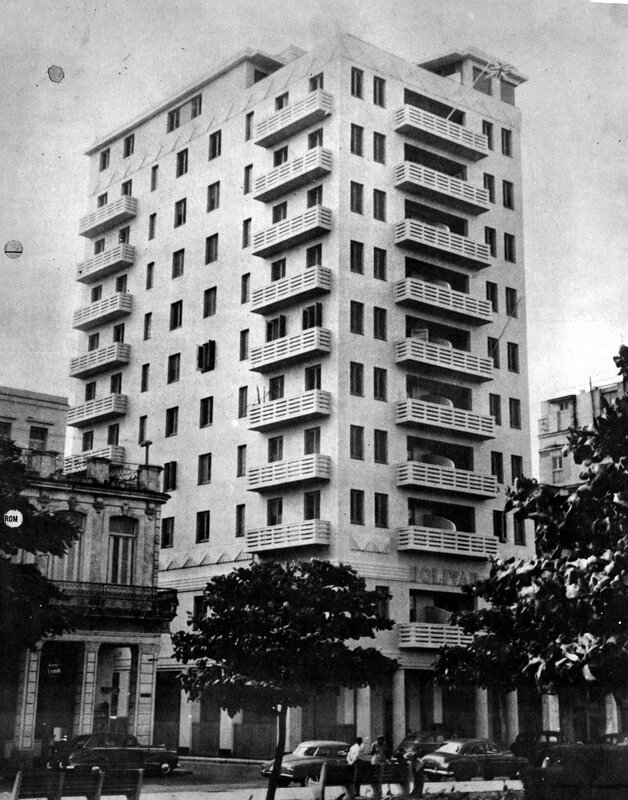 Bolivar residential block, where offices occupied top few floors, 1964.